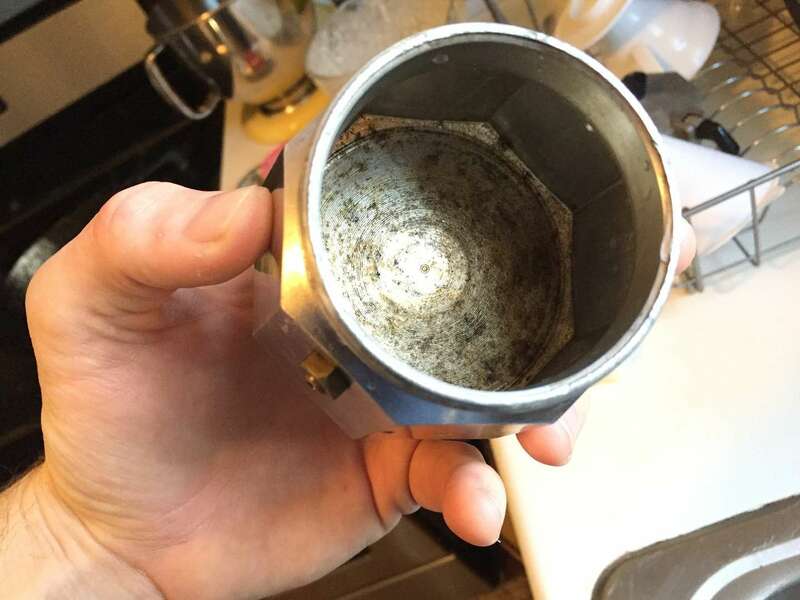 The aluminum moka pot can become oxidized over time and need a deep cleaning. For normal cleaning, soap and water is fine, but you'll want to get a little more aggressive when it gets more nasty. Scrub as best as you can with a non metal abrasive. Stay away from steel wool as it will lead to corrosion down the road. Use 50% vinegar and 50% warm water. Soak for about 30 minutes. You won't see 100% of the oxidation removed but close to it. Keep in mind, the oxidation is totally safe and will not impart any bad flavors but its still nice to remove most or all of it. By default, the Nespresso Inissia dispenses only a small amount of coffee. I was looking for a healthier way to drink iced coffee and had the idea of using protein powder as a way to add flavor and, of course, protein. It's so hot here in the summer and all I want to drink is iced coffee! Here's the simplest way I've figured out how to make one of my favorite drinks- an iced mocha- at home.